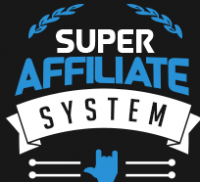 So, what is the Super Affiliate System (or the Internet Jetset program)? Here we go! 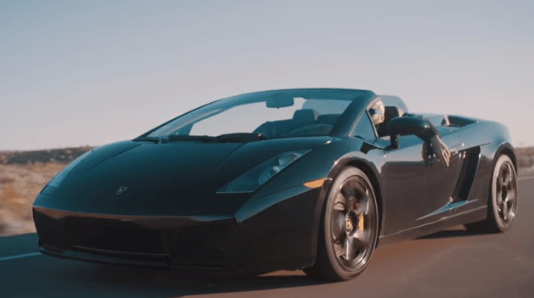 Another one of those flashy videos where the guy promoting his program and flashing all of his toys and luxury items. I stumbled on this program while trying to find a product to promote on ClickBank. Their claim was undeniably very attractive, so I had to check it out for myself. I clicked on the link and got sent to a sales page. If you are looking for a way to make money online, click on the link below and find out how I do it. Program Name: The Super Affiliate System. 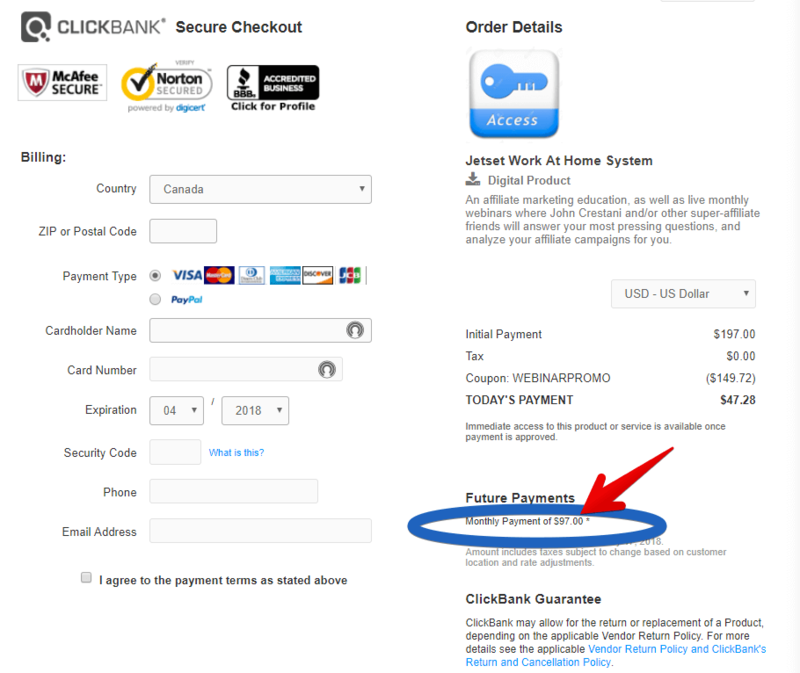 As soon as I saw the ClickBank secure checkout page and the monthly price that I circled was not $47, I started to be a little skeptical. Is John Crestani’s program really worth it or is it a rip-off? If you are like me, you have seen these videos all over YouTube and even Facebook. He advertises his webinar on how to make money online and live the laptop lifestyle. Since I am a very big fan and an avid blogger, the laptop lifestyle is really my kind of thing. I was very curious about what I could learn from his program and I decided to take his webinar and see what I could find out for myself. I was willing to go through the whole thing even though I had found a lot of mixed reviews about him and his program. To make this a long story short, after going through his webinar, which is an hour and a half long, the bottom line here is he goes through the basics of affiliate marketing using Amazon. Does he over promise? Well yes!! On the advertising page of the webinar itself there is this claim that “If you can spare 60 minutes a day, you can earn as much as $50,000 per month”. Hmmm, probably possible if you are a very advanced Affiliate Marketer and that you have a TON of traffic to your website(s). He is a very good salesman, I cannot argue that fact. He does make a lot of statements during his webinar that makes a lot of sense and is truthful. He talks about how he struggled before he made it “to the other side”. From rags in 2011 to $3.9 million in revenues in 2016. And he also shows some of his students that have also made it big. And it all looks very legit. “The easiest thing I ever did was to make $1,000,000. The hardest thing I ever did is believe I could do it”. This is so true for anyone who is aspiring to make it BIG with an online business! Select a niche, use a marketing system to generate visitors and create a Funnel to convert visitors into sales. He recommends going with Amazon, by looking up what product has a high search volume. He says that we should pick a product that has at least 5,000 searches a month. This is where I got a little disappointed. He says that out of those 5000 searches, you should get approximately 33% of them to visit your site and click on your “link”. HOW??? 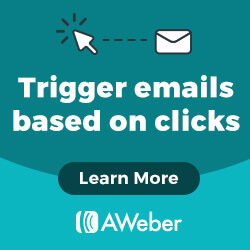 How do you get all of those clicks to your website??? He doesn’t say, he goes on to another step of his step by step process. The rest of the process is making a video and do a review of the product and again 15% (out of the air apparently) will click on your YouTube video. Then, with his calculation, he calculates from the original 5000 searches, that you end up with 240 clicks on your link with a 20% conversion, which makes $2,400/month for 1 product review??? Remember when I said he oversells? I guess it’s all possible, but HOW do you get the traffic to your website??? I would say if you are an authority in your niche and have a lot of traffic already, but not someone who is just starting! 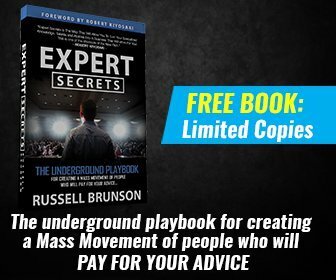 Then, about half-way through the webinar, the sales pitch comes in to promote his $47 now and $47 per month course called Internet Jetset Online program. There is a “free traffic machine” in there. That will probably help, but as you will see a little later in the description of the product, he is teaching you how to pay for your traffic with ads, which of course is a great method of getting traffic to your website fast! But you will need a hefty budget to do so! And are there any upsells? Definitely. And it is very much oversold! It’s a basic 12 weeks step-by-step Affiliate Marketing course. There is over 50 hours of video training and is divided into 12 different modules. Its main goal is to train the “newbie” of Affiliate marketing, and it does a good job doing so. The course will take you through all the required steps of building an affiliate marketing business. So as you can see, for someone just starting Affiliate Marketing, the course is pretty complete to get you started. You also get access to an Active community of like-minded people doing the same thing. There are other courses in the upsell that costs $187, but I did not get into them. From my analysis and from what I have seen here, this program is definitely NOT a scam. It is legit and has some value for the beginner and the advanced Affiliate Marketer. However, like a lot of programs I have analyzed, the traffic part will be costly and if you don’t have any traffic to your website, you have no potential customers, therefore no sales. There are methods to get free traffic to your website, however, I did not see anything about SEO here. For both the beginner and the advanced affiliate marketer, the courses are well-made and are easy to follow. 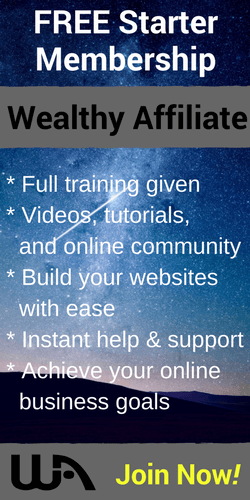 He does mention the important part, that this is NOT a get-rich-quick scheme and anyone who has tried their hand at affiliate marketing know that it requires effort and work to be successful. John Crestani has really made well for himself and has been featured in magazines such as Forbes and Business Insider. He has experience and he really knows his stuff. Oversold – Especially the webinar. Although his claims may be feasible, it is NOT the average amount of money a beginner can make doing Affiliate Marketing and is used to lure the beginner into the program. Confusion in prices per month. Even though the webinar says that it is $47 per month after the initial $47 when we look at the fine prints of the payment page we see that the price per month is $97 per month?? Even though this is a legit program, I am not convinced that it is the best way to start an Affiliate Marketing business. Especially if you have a tight budget. To follow this system you will need a hefty advertising budget in order to get any kind of traffic to your offers. At this point, I will let you decide if it’s for you or not, however, since I did not buy the system, I will not give it a thumbs up or down. I decided to pass on this one mostly because of all the upsells and the confusion in the monthly price. Because I know a better and a cheaper way (It’s actually FREE) to get a step-by-step training you need to get your online business started and have your own Affiliate Marketing website. You can join this platform, which is more a community of hundreds of thousand like-minded people, for FREE. And they will give you 2 FREE websites to start and the first 10 lessons of the training needed to get you going right away. NO GIMMICKS, NO OBLIGATIONS, NO UPSELLS, NO CREDIT CARD REQUIRED! When building an online business you need these three essential elements: Expert training, websites, and Education. With Wealthy Affiliate, you will get all three along with me as your personal coach. Please feel free to leave your questions or comments below in the comment section, I will be very happy to reply. Is AWOL Academy a scam? Or can you really make money with it? 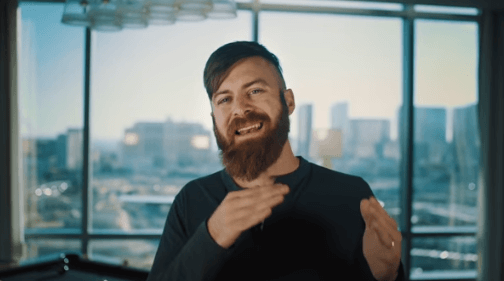 I came across Internet Jetset when it first came out and John Crestani came across as a bit of a shady Guru from his presentation video of flash cars, firing a machine gun, taking a ride in a helicopter and generally living the high life in Las Vegas. As for Internet Jetset, the webinar sounds like you can gain some value, but at the same time, seems a little hyped up. But I do like the fact that there’s plenty of training available with IJ and there are templates to use too. However, I’m not keen on paying the monthly fee (whether it’s $47 or $97) because it means there will be additional expenses outside of the platform for paid ads to get traffic. Personally, I think blogging is the best and most cost-effective way of getting started online. Hi Neil, I do agree with you. Yeah, they are legit, but expensive! As far as the money to dish out every month I would rather be blogging too. It is much more cost effective. Hello Denis. Thank you for bringing forth the information you have found out about the Super Affiliate. I have been receiving a ton of emails from them and was wondering. I have not yet opened one but I had a feeling it was a bad deal. Sounds like they are very untrustworthy if they can not even seem to get the prices right. I will be staying away. Thank you very much. I am “grateful” that I could point you in the right direction. Even I thought that this program was worth looking into, but once I looked a little closer, I stayed away and was compelled to tell everybody about it. There are some good things in the program, but it is very much oversold, and there are many upsells. 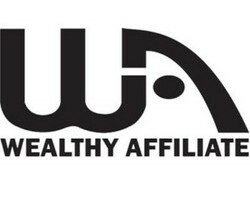 I would rather go for a program like Wealthy Affiliate when it comes to making money online. They provide a complete system. This is like a fairy tale and you rightly put the question “can you make your … in 2 hours?” Good questions, that you have put, and the answers came out of your mind was awesome. Thanks for your neutral review. It helps us find ways to judge any site for legitimacy, and not being a scam. Please, keep it up, If you can examine and review sites like this, many of us will be benefited with such an impartial review. Thanks for taking the time to comment on my article. This system is real and has a lot of benefits, the only downside is the fact that to make it work you need to have a hefty advertising budget. If you want to start an online business I suggest you check out my recommendation. Wealthy Affiliate will get you going in no time and you can start for free. 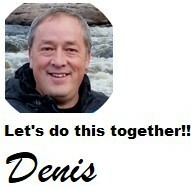 Hi Denis! John Crestani and his program may seem a scam from the beginning because he literally sells the idea of becoming a millionaire. And most sites that do that are scams. But it turns out he is indeed a well known person in the affiliate marketing world. And if you pay attention to his videos, he indeed knows what he is saying. I personally believe there is value in Internet Jetset. I also know it’s hyped. And it’s definitely not affordable to many that want to get started online. I would not recommend Internet Jetset for anybody that is running on a tight budget. That was exactly my point of view Henry! You have really summarized my article in a few sentences. Thanks for a great review, Denis. My take away on John Crestani’s course is that there is a price point for every budget. Years ago, I took an advanced marketing course from Neil Patel. It cost $1,000 plus there was a $5,000 upsell (which I passed on). Crestani certainly has the reputation of being a successful marketer. Too bad he did not get into how to get lots of traffic to see the offers. But the way I see it, regardless of how much a course costs, it doesn’t matter if a student does not take advantage of what is taught and apply it to their unique situation.